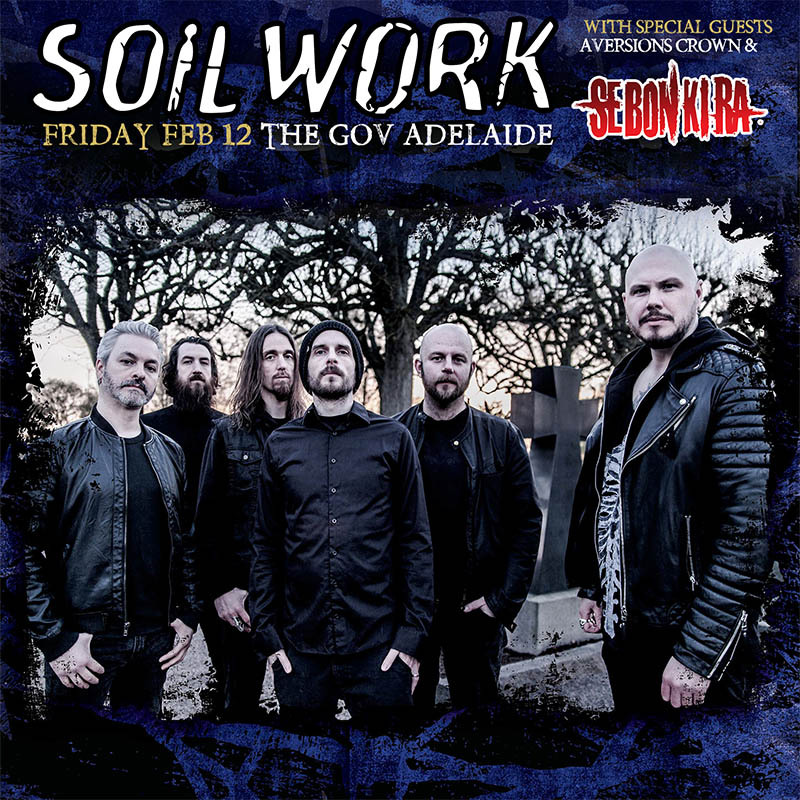 We are stoked to be playing with a band we have great respect for ‪#‎SOILWORK‬ for their Adelaide show this Friday night. All of us in ‪#‎SEBONKIRA‬ are looking forward to seeing lots of you there in good form! We’d love you to get in early to catch our set and show us some of the energetic Adelaide metal love this lil ol town is known for coz its us, then Aversions Crown and then Soilwork and doors open at 7.30. Soilwork are promoting their latest album, The Ride Majestic, and are coming to Australia straight from the North American leg of their tour. The Ride Majestic is a killer follow up to their previous album The Living Infinite. Fellow Aussies Aversions Crown are coming back from Europe to do the Australian tour with Soilwork so check them out too.